Thackeray also raised issues related to BJP's campaigning in Uttar Pradesh and Goa. 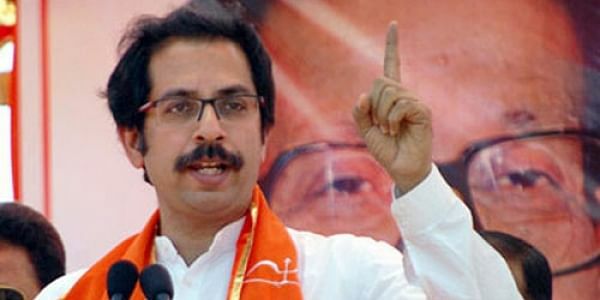 MUMBAI: Shiv Sena President Uddhav Thackeray kick started his party's campaign for BrihanMumbai Municipal Corporation (BMC) elections here in Marathi-dominated Girgaum in South Mumbai by criticizing the Bharatiya Janata Party (BJP) of a ploy to separate Mumbai from the rest of Maharashtra. He warned Prime Minister Narendra Modi and BJP President Amit Shah that they have lost a friend in Shiv Sena who defended them during difficult times. "Amit Shah has termed that fights in Maharashtra are friendly fights. But, let me tell him that this is not a friendly contest. This is an all out fight to save Shiv Sena's pride," Thackeray said as he appealed people to vote for Shiv Sena to keep away the BJP’s evil. While appealing people to vote for Shiv Sena in BMC over local issues, Thackeray also raised issues related to BJP's campaigning in Uttar Pradesh and Goa. "If they can assures farmers of UP that their crop loans would be waived off if BJP comes to power; why can't they do the same in Maharashtra," Thackeray asked and charged the BJP of holding an anti-Maharashtra bias. Thackeray also criticized the demonetization decision and tried to take credit for infrastructural initiatives taken by the state government like the Metro and Coastal Road projects in the past two years.